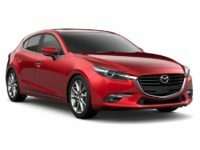 You can ask any of our thousands of loyal customers, and they’ll tell you to a person that Jersey City Car Leasing is the absolute best agency from whom to lease a Mazda or any other automobile! The reasons for this are threefold and they’re the major differentiators of any leasing agency: cost, convenience and selection! 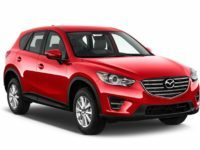 These are the biggest hurdles to overcome for any of our competition, but Jersey City Car Leasing has all three on lock, thanks to our industry transforming online leasing system! This system ensures that we can cut our operating and overhead costs down to a bare minimum, so that we can pass those savings onto our valued customers in the form of low, low monthly lease rates! 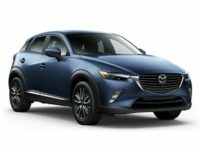 And when it comes to selection, we have everyone else outdone because we use our website in place of a physical car lot or showroom, meaning that whether you prefer Mazda’s CX-9 SUV, the Mazda 3 or the Mazda6, or any other recent model, we’ve got you covered! 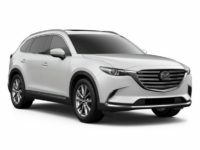 Finally, our online system for leasing means that you never have to leave your home or office to lease the Mazda you want and need — every step of the leasing process is completed online in comfort and ease! There’s absolutely no reason why you should bother with any of our competitors, whose old fashioned business model has them hamstrung in the areas where it counts! 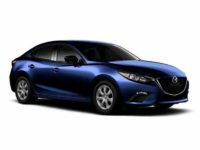 Call Jersey City Car Leasing today at 201-649-5111, or pick out the Mazda you want right now from our selection page! At Jersey City Car Leasing, we’re proud to say that we have the absolute lowest monthly rates in the entire state of New Jersey! There’s nobody who can compete with the prices that we offer, because every other agency is still using the hidebound brick and mortar business model that requires them to lay out huge amounts of money in startup and operating costs! The traditional agent has to rent or purchase as large a parcel of land as possible on which to locate the car lot, which means that they have to pay monthly rent or, if the lot is purchased outright, property taxes that go up with every year. By contrast, we use our website as a virtual car lot and showroom, and the limit to our offerings is essentially nil! This means we don’t have to pay rent or hire security guards to protect our cars against thieves and vandals — we just pay the hosting costs for our service provider! 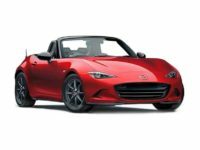 And we don’t have to buy a huge fleet of cars and keep updating same with every model year — instead, we have a host of dealerships with whom we’re affiliated who let us lease their stock of Mazda and other vehicles as our own inventory! This means that no matter what model you happen to be looking for, we’re basically guaranteed to have it for you! And this also means we don’t have to pay the huge upfront costs associated with purchasing a leasing fleet! There’s no other agent who can offer such low monthly rates, so don’t hesitate! 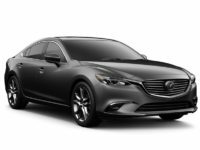 Call Jersey City Car Leasing right away, use our contact form, or just pick out the car you want right now!